How to find flights leaving an airport on a specific date? How can you find all flights leaving an airport on a specific date? The date may be more than a month ahead. 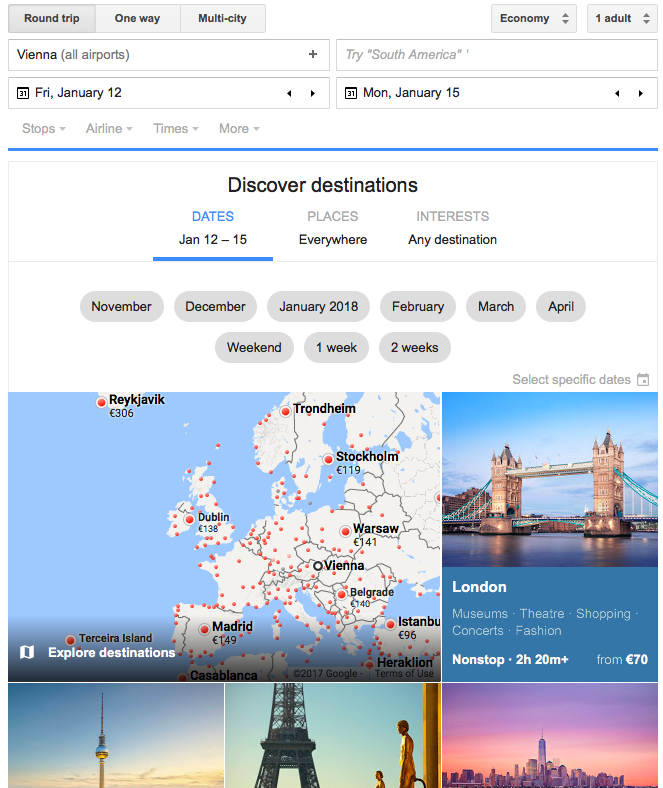 Skyscanner will allow you to search for flights to "Everywhere" for a specific date, and airport, it gives a list of destination countries. If the date isn't to far in advance, then you could search for the date on flightradar24; or search for the same-day-of-the-week, last week. Unlike SkyScanner or a booking website, which will require seats to be available, this simply shows the flights that are scheduled. Also, there are rudimentary tools for sifting the results by airline, airport, et c., and the data are easily exported to Excel for a more thorough analysis. If you want to keep up to date with routes at a particular airport, I find www.routesonline.com is quite good. I encountered that Google Flights offers exactly what I was looking for. Plus, booking the flights is a few clicks away. 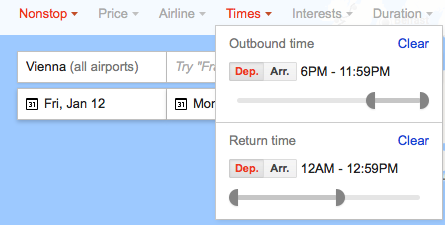 Flight search engine for specific date for outbound flight and undefined date for return flight? How to search for specific flight numbers? For multi-city flights, how can I find the cheapest flights if my dates are flexible? How to find flights with a specific layover? Is there a website allowing to see arrivals and departures at a specific airport on a specific date months in advance?